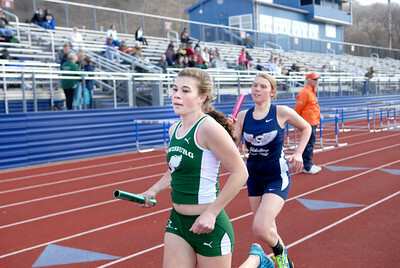 Lewisburg's Katie Edwards, left, leads Shikellamy's Sierra Strouse around the track after the first lap in the 4x800 relay at Tuesday's track meet. 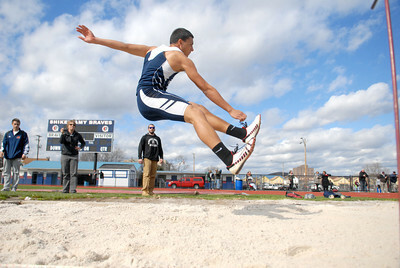 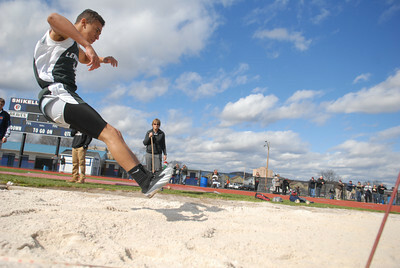 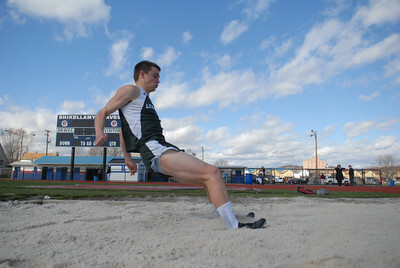 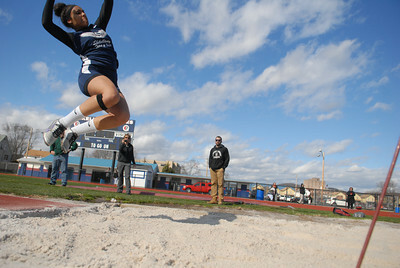 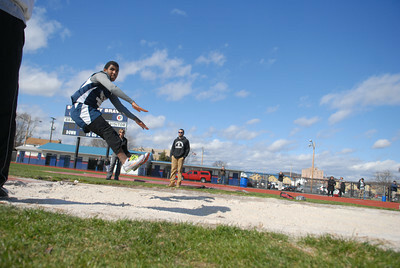 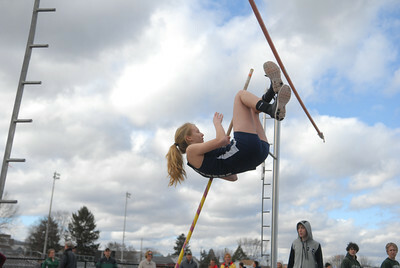 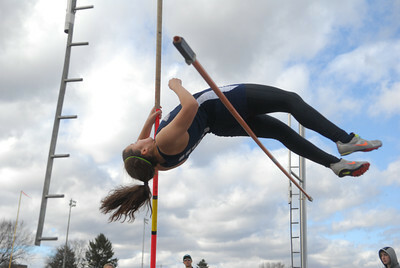 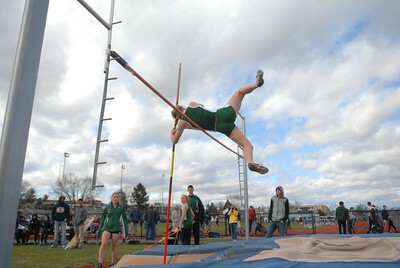 Shikellamy's Shawn Turber competes in the long jump event at Tuesday's home track meet against Lewisburg. 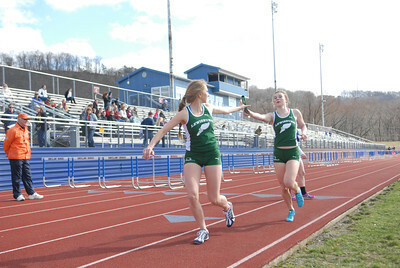 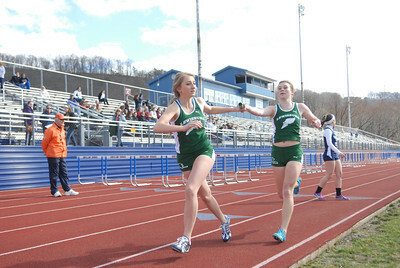 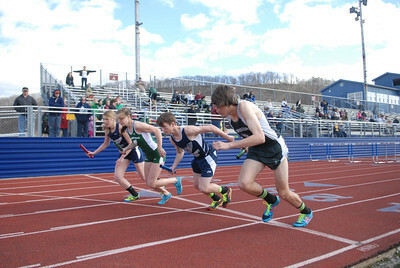 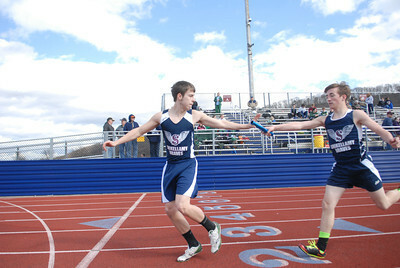 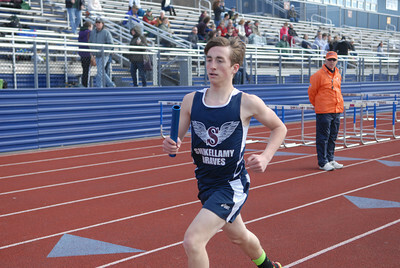 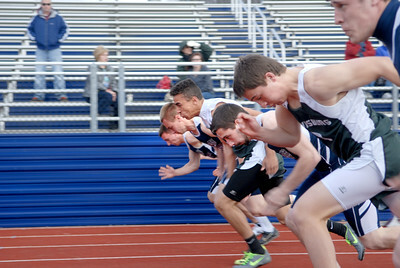 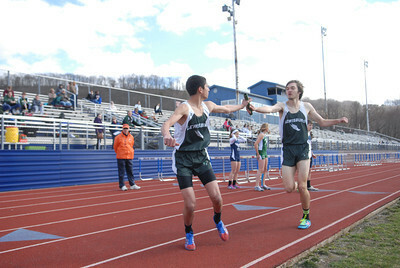 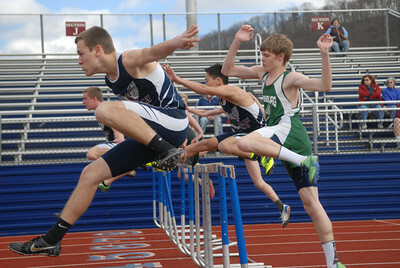 Sprinters get off to a quick start in the 100 meter dash at Tuesday's track meet between Lewisburg and Shikellamy.